Every time I think about inventory bins, I imagine those little colored plastic bins that his nuts and bolts at the hardware store. It helps when you can visualize where the inventory is going to be sitting. 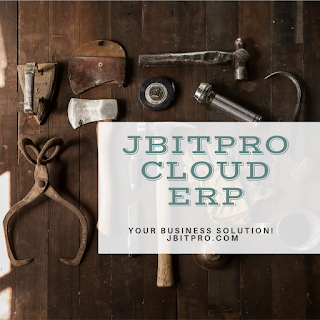 In order for your JBitPro ERP system to track your inventory, it is important to tell it where the items or services sit inside of your warehouse. You might be thinking about the services part of your business right now, and thinking - "Services don't physically sit anywhere! "...and you are right, they don't. Services are a lot like this Blog post, a thought in mind that only takes form when written on paper or page. Yet, still it is an item you sell, think of it as a virtual item. You might already know where this is headed...Yes we are going to put services into inventory bins, alongside our physical items! Its not a crime, and as you will see it actually makes some sense when you see how it all fits together. Let's talk about Flat rate first. You have a service you offer and customers call you multiple times a week for the same service, and you have gotten it down to a science. BOOM - 1.5 hours and your work is done every time, with a few exceptions - the occasional 2.5 hours. This is when your service goes flat rate! You realize that if you charge for 3 hours, maybe throw in a small discount, your customers will be happier and you will make more too. Now hourly - it's simple. You charge $65/hr for your time and possibly even require a minimum 1 hour charge for the visit. This has it's advantages, since you can do some service calls using only a few minutes of time. And when they run longer, you get paid for the full duration. Some service companies combine flat rate with hourly - if the job exceeds the hours included in the flat rate, hourly kicks in. To be honest, hourly scares new customers - but that is another blog post. The information above represents an item as a service. You might notice that the item - service, has a cost and a price. Cost is what you spend to make the service call, and coming up with the cost is another blog post as well. Let's Add a Bin Already! It is really that simple! For Services we are adding an option to designate the item as a service, so the bin will transform into a service bin when adding the service to it. When using JBitPro ERP to manage services and items, it is important to place them into Bins so that you can add them to orders and track their usage. As well it allows granular reporting on the items and how many times they have been used in your business. You can find out what your customers need most and provide it to them by simply reviewing the history associated with those items, via the bins.